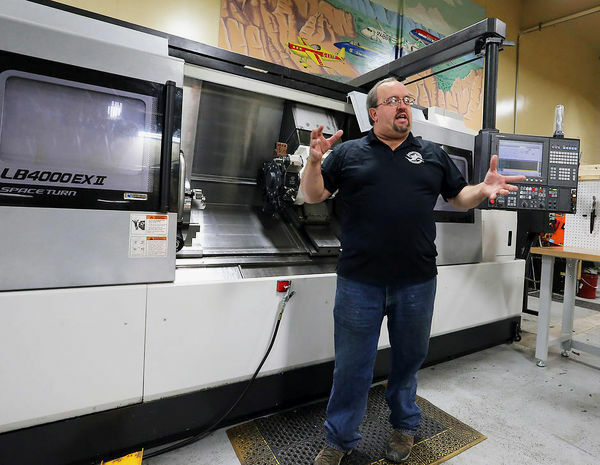 “Precision machined parts made by Wren Industries in Grand Junction could find themselves on the way to Mars, as part of the Orion project to send astronauts farther into space than any human has gone. Wren Industries was selected to produce closeout seal plates, making it one of more than 100 Colorado companies working to supply parts to aerospace giant Lockheed Martin. Getting the contract to supply the Orion project is the culmination of years of effort, said Michael Sneddon, who owns Wren Industries with his wife, Shannon. ‘It’s been two years and it’s still in the infancy, but this is a big step,’Sneddon said. Once Wren proves its reliability, more doors will open — especially if pushed hard enough, Sneddon said. He said the company’s prospects will improve as the aerospace industry expands to meet new challenges such as Orion, mining asteroids and eventually touching down on the Red Planet. Aerospace projects make up the bulk of Wren’s work and the company works with West Star Aviation at the airport and its neighbor, Jabil Lewis Engineering, Sneddon said. It also supplies precision machined parts to the oil and gas and firearms industries. Business has been busy enough that Sneddon is adding two more slots to his existing six-employee workforce and the Orion contract can only improve prospects. Wren has received two requests for qualifications for additional Orion work. The contract also is the culmination of work by the Grand Junction Economic Partnership, said Executive Director Kristi Pollard. Read the full story by Gary Harmon in The Daily Sentinel here. Check out more on this story via KKCO Newschannel 11 here. Learn more about the aerospace and aviation industries in Colorado’s Grand Valley here. Photo courtesy The Daily Sentinel.